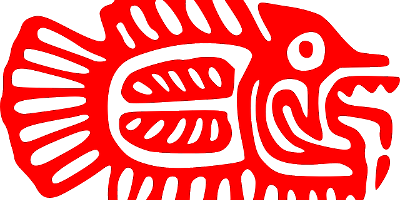 Aztec art, just like Aztec culture and religion, had a long history with influences from previous Mesoamerican cultures such as Olmec, Maya, Toltec and Zapotec civilisations. The artistic traditions of Aztec art highly valued sculpture, geometric stamps for fabric and body art, architecture, metalwork, and pottery, among other things. One of the foremost reasons for the importance of art in Aztec culture was because art was an integrated part of Aztec religion. It was extensively used in the religious festivals and ceremonies throughout the year. Elements of Aztec art were clearly influenced by previous Mesoamerican civilisations. 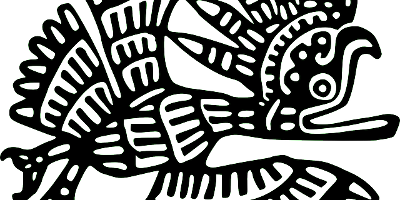 In particular, the Aztec’s traced their artistic traditions to a group of people called the Toltecs. The city-state of Toltecs was destroyed in 1168 but the imposing architecture and artworks of the remains highly impressed the Aztec’s. 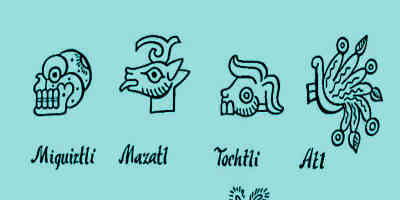 While there was not a specific word for art in Aztec language, things of art were called “toltecat” after the Toltecs. 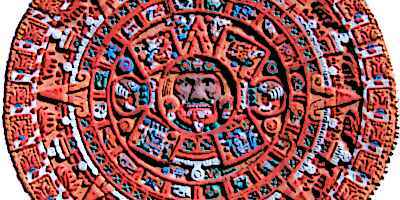 Even the ruling family of the Aztec’s traced their lineage to the Toltecs. With the establishment of the Aztec Empire, these artistic traditions of Aztec art further flourished with original contributions from the Aztec’s. A wide range of themes could be found in Aztec art, having both religious and cultural significance. One of the foremost aspects of Aztec art was deep appreciation for various insects, birds, fish, and animals. Animals such as jaguars, ducks, monkeys, snakes, and deer were among the common themes of Aztec art. Also, gods were depicted in the art and paintings of the Aztec’s and the drawing also showed priests dressed as gods performing religious ceremonies. Additionally, Aztec warrior societies of the jaguar and eagle had their own artistic traditions. Precious metals such as gold and silver were highly important in Aztec art. These were used to make jewelry of a variety of kind which was mainly but not exclusively used by the nobility. Other metals commonly used in Aztec art included copper, shells, clay, wood, and obsidian. Additionally, the Aztec’s made impressive use of a variety of precious stones such as opal, moonstone, and turquoise. One of the most important materials used in Aztec art was feathers for which a bird called Quetzal was mainly used. These birds had glorious plumes which only royalty and priests were allowed to use. Common and popular elements of Aztec art included pottery, sculpture, and a variety of drawings. Aztec’s made pottery of all sizes and shapes and depicted a variety of design which had religious and cultural significance for the Aztecs. Like most other art, these designs were used to pay reverence to specific Aztec gods. In sculpture, Aztec art included finely carved free-standing idols in addition to bas-relief wall sculptures. In drawings, pictographs were small pictures that represented a variety of objects or sounds. One of the rarest aspects of Aztec art was the feathers of quetzal. These birds were especially raised by the Aztec’s for their beautiful plumes which were exclusively used by the royalty and the high priests. Common people were not allowed to use these feathers. These feathers included long, golden-green tale-coverts of a male quetzal. Some form of Aztec jewellery was also reserved for the rulers and the nobility. This included lip plugs, ear plugs, and nose ornaments made of gold and precious stones such as jade and turquoise. 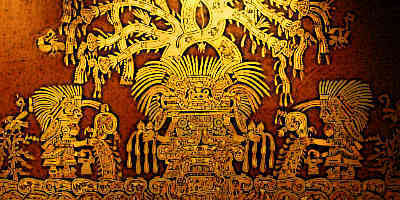 Aztec art gave birth to many famous artefacts that showcase the intricacies and beauties of Aztec art and architecture. The most obvious architectural wonders are of course the step pyramids of the Aztec’s which served as their temples. The fired-clay Mictlantecuhtli Statue is one of the most famous works of Aztec art. It is a 6 feet tall statue of the Aztec god Mictlantecuhtli and was made around 1480. The Aztec stone calendar is another masterwork of Aztec art and weighs almost 25 tons. Other important works of Aztec art include the Florentine Codex, Aztec Feather Shield, and Moctezuma’s Throne etc. Religion was of central importance to Aztec art and culture. In Aztec drawings, gods were often depicted or priests dressed as gods performing religious ceremonies and rituals. Similarly, Aztec sculpture was also heavily influenced by religion. For instance, one of the most famous Aztec artworks is the Statue of Mictlantecuhtli who was one of the Aztec gods. Also, one of the two calendars developed by Aztec’s was specifically reserved for the calculation of the times of religious festivals. Aztec art consisted of rich symbolism which was found in everything from painting and sculpture to architecture and astrology. 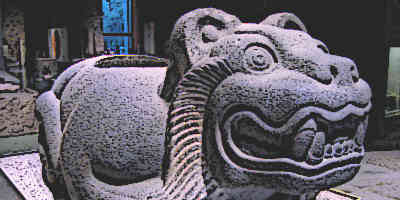 Symbols of various animals such as jaguars, eagles, dogs, snakes, and others signified various powers of Aztec gods. Other symbols included the frog which represented joy, butterflies which represented transformation and the monkey which represented dance and celebration. Symbols were also found in Aztec ideograms. For instance, the drawing of a warrior brandishing his weapon standing over an unarmed warrior represented conquest. In the absence of a written text, the hieroglyphs of the Aztec’s were rich in symbolism. Religion and thus gods were crucial to Aztec art. Gods were often depicted in drawings some of which were symbolised as various animals. Priests were depicted dressed as god while performing religious ceremonies. Depiction of emperors was also common with their semi-divine qualities since emperors were considered descendants of gods. Some works of Aztec art such as Quetzal feathers were exclusively reserved for the rulers and the high priests. Aztec art had long traditions spanning over several centuries and influenced by various Mesoamerican cultures. The Aztecs traced their lineage to a group of people known as the Toltecs and used the word “toltecat” for the works of art. They produced innovative works of Aztec art in the domains of architecture, sculpture, drawing, pottery, jewelry, and others. The most important influence on Aztec art was of religion and religious drawings were rich in symbolism. Aztec art used a variety of animals to depict various powers of gods other than depiction of certain emotions and qualities.